Finally, a way to Shed Pounds, Tone Muscles, and Blow off Stress that is Safe, Effective, and FUN! First Taekwondo Classes at Boscobel Family Martial Arts & Wellness Center in Boscobel. Our Innovative Taekwondo program is totally different. Every movement has a purpose – a purpose that might one day save your life! Some of our students have actually been able to defend themselves from dangerous attacks, while most are grateful just knowing how to avoid trouble. Hi, my name is Master Ray Saint. I’m very proud to say that HUNDREDS of adults in the Boscobel area have a BLAST in every class while learning awesome skills and watching the pounds melt away. Boscobel Family Martial Arts & Wellness Center students from 18 to 80 also tell us they use the benefits of improved concentration, self-discipline, and confidence every day at home, at work, and in social situations. I’d like to show you how you can experience all of this, and more… with NO RISK !! 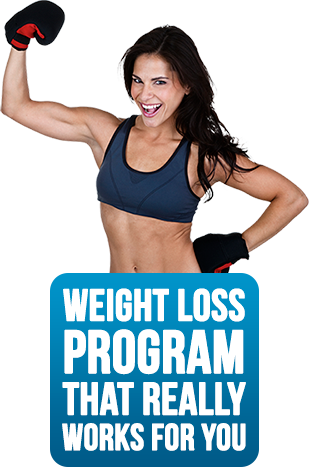 The secret the multi-billion dollar weight loss industry doesn’t want you to know is that all their diets with the clever, catchy names are designed to make them money, not to help you lose weight and keep it off! Once you start buying their food, they want you to keep buying their food for the rest of your life . . . and you have to eat what they want you to eat! IF they have an exercise program, it’s one of the same old boring routines . . . like walking. No wonder they don’t work for long! People who go “on a diet” quickly regain all their weight and more once they go “off” their diet. It becomes a never-ending cycle of hope followed by disappointment. Even more important, you’ll exercise your “discipline” muscles. You don’t need to buy some weight loss company’s overpriced foods to lose weight! Our program will help you learn which foods are healthy and which foods aren’t, and give you the strength to make the right choice. By gaining control over your appetite, you’ll keep control over your food choices. Our Boscobel Taekwondo program will help you develop the MENTAL STRENGTH to establish good habits, and once you develop those habits, it becomes EASY to maintain them! You naturally eat right and exercise regularly. Success breeds more success, and you start to look, feel, and act like a new person – sort of like your own martial arts avatar. The good news is that you can reverse the ravages of age with better nutrition and a consistent exercise program. Martial arts training will help you develop remarkable skills while increasing your STRENGTH, ENDURANCE, and FLEXIBILITY. Imagine feeling young again, with all the strength and confidence you had at 18 . . . but with today’s wisdom! Out of shape? No worries! 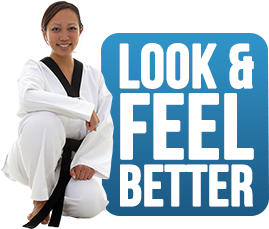 Innovative Taekwondo is a great way to get in shape! Feeling uncoordinated? No Problem. We teach everything step-by-step, so you don’t have to be a star athlete to get started. Too busy? Don’t worry. You can make significant progress attending two or three classes a week. Afraid to get hurt? We practice everything in a safe, cooperative, controlled environment. You see, at innovative Taekwondo you progress at your own pace. Young ELITE ATHLETES will be challenged by the goals they set and the skills required to achieve mastery, while grandmothers and grandfathers can train with folks just like themselves to regain their energy and balance. In addition to physical strength, you’ll also develop a Stronger Character and Leadership Skills as you progress in rank. You might even get promoted at work as others begin to notice the improvements in your confidence and naturally begin to follow your lead. You just can’t avoid stress these days: You feel pressure at work, frustration in traffic, and anxiety in your relationships! 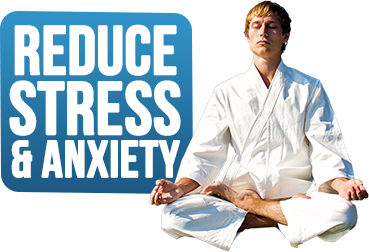 Since you cannot avoid stress, you need a simple, effective way to get rid of it. Taekwondo training is the perfect stress-busting workout. You get to do all the things you would do in a temper tantrum: Yell, Scream, Hit Things, and even Break Things, all with no regrets! At the end of class you feel refreshed and ready for a relaxing evening. You’ll release your pent-up anger, sweat out all kinds of nasty toxins, and find ultimate peace of mind through meditation. You may have heard that you are the average of your five closest friends: If your friends all smoke, chances are you’ll smoke; if your friends all have high blood pressure, chances are you’ll have high blood pressure. I recommend you join our group of friends who are getting stronger, healthier, and stress-free. You don’t have to leave your old friends behind. You can just invest a little time into looking and feeling better . . . and make your current friends jealous! Just imagine the black belt version of you: leaner, stronger, more confident, and respected! Well, I have great news for you, you don’t have to Imagine: You can feel it all for yourself at NO RISK and NO OBLIGATION! Complete the form on this page to take advantage of our “No Strings Attached” Special Trial Offer that is only available on this website! Boscobel Family Martial Arts & Wellness Center is the best place in Boscobel to find the exercise program that could save your life: If you never need to defend yourself from a violent attack, you just might defend yourself from a heart attack by exercising regularly. Please take me up on this FREE offer and let’s discover the black belt within you!